Bitdefender Antivirus Plus 2017 protects against even the most dangerous e-threats without affecting your system’s speed. This means you get pure performance, with no slowdowns. With Autopilot on, Bitdefender Antivirus Plus 2017 automatically makes the best security decisions to safeguard your data, your online transactions and your privacy. 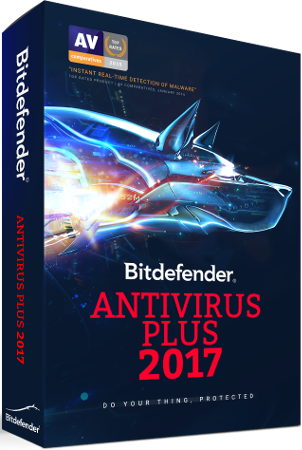 Choose Bitdefender Antivirus Plus 2017 for the best value on the market. It’s packed with features and amazingly powerful, yet easy to use and feather-light on resources.